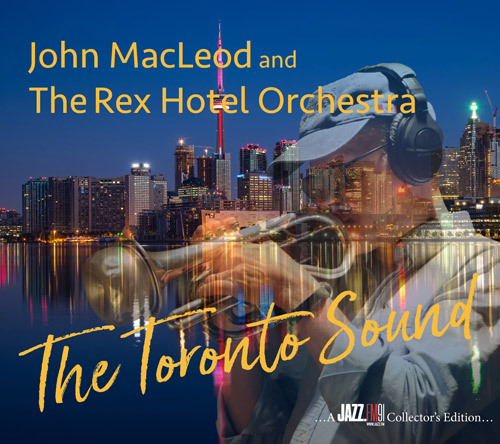 Those who've heard the Rex Hotel Orchestra's First Set should surmise what to expect from the second: more world-class big-band jazz of the highest caliber. Those who haven't should seek it out and lend an ear, after which sitting in on the Second Set is clearly a no-brainer—especially if the Boss Brass is numbered among their favorites. The musicianship throughout is exemplary, the soloists are at the top of their respective games and I would hardly be able to single out any one of them. Having said that I would be remiss if I didn’t take my hat off to leader John MacLeod who is the catalyst providing the chemistry that brings it all together. Running a big band involves a lot of time and effort, especially if you are also doing the bulk of the writing. If you like big band jazz you need to add this recording to your collection. 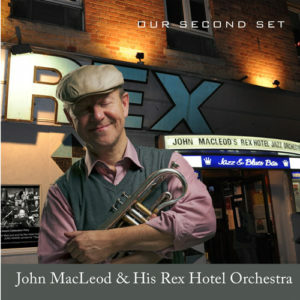 Those who mourn the passing of the great trombonists Rob McConnell and Dave McMurdo and, with them, two of the most renowned big bands Canada has ever produced, should take substantial comfort from this superlative debut recording by John MacLeod and His Rex Hotel Orchestra, an ensemble patterned after the Boss Brass in whose trumpet section MacLeod was a standout for some fifteen years. 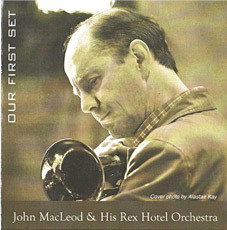 And like McConnell, MacLeod's charts (he arranged everything save "I'm in the Mood for Love") are unerring models of big-band tastefulness and swing. In my column last month I suggested that there are three ingredients to look for in jazz - swing, melodic content and a knowledge of the roots. You don't have to look any farther than this excellent CD. John MacLeod is one of the most committed and complete musicians I am privileged to know and his dedication and musical philosophy are stamped on this programme of originals and great standards. Four of the originals are by John with additional contributions from Gord Sheard and Mike Murley. Add three superior standards, one of them arranged by Rick Wilkins, and you have one of the most rewarding albums I have heard this year. It also serves to underscore just how many great players we have in this city. Featured soloists include Andy Ballentine, Joey Goldstein, Terry Promane, David Braid, Perry White, Jon Challoner, Brian O'Kane, Alastair Kay, John Johnson and Mike Murley. The rhythm section is rounded out with Jim Vivian and Ted Warren giving a great foundation for this star-studded musical organisation. I can't choose favourite pieces from the album. There are so many gems. This is not a recording you will listen to once and put on the shelf. It deserves repeated playing and will give pleasure many times over. Join the RHO mailing list for the latest!